About 1.2 million sites have been compromised by hacker attacks that integrate malware into the sites source code. The strong majority of these sites were just typical spots on the web, intending to give customers some useful features or information - not steal their identity or sell their contact information. That's why Google has added an additional layer of security to its search engine results page. When Google finds a site that seems to be hacked, it displays the message "This site may have been compromised" below the standard link. Additionally, just in case this warning is missed, users who click directly on the link will be taken to a confirmation page from Google with a repeat warning before they're redirected. Users who click on the warning itself will be taken to an informational page where they're told about how issues like this occur and the risks they present for visitors. These risks include the loss of private data, having login information captured by third parties, having contact information sold, or even having spyware or malware downloaded unintentionally to your computer. Google has stated that they will try to get in touch with anyone running a site that seems to have been compromised, informing them of what's happened, how it happened, how to fix it, and how to have the warning label that essentially serves as a "keep out" sign removed. Google may have learned some of these lessons about vulnerable code the hard way. Their own Website Optimizer Tool, a prominent part of their Webmaster utility belt, had a fracture that let previously vulnerable sites be re-accessed through Google's code. UPDATE 3/1/2011: After posting the above, Jen has published another article on the subject which may be of interest. To make your Google search results more productive for your needs, a new feature has recently been added by the search engine industry leader that promises to make users more confident while searching and visiting sites. Google recently introduced a new feature that will alert users to potential hacking activity from their online searches. Google's goal is to help users avoid these malicious sites and any fallout that could result from visiting them. Google promises to also go as far as notifying the site's webmaster through their main account or via any email addresses available of any suspicious hacking activity. Just how will the alert work? According to one of the associate product managers at Google, Gideon Wald explained that there will be several automated tools that Google will have in place to detect the common signs of a site that has been hacked. The automated tools will then add a notification to the search results to warn users that the suspicion of hacker activity exists on the site. If the user chooses to proceed despite the notification, it is at their own risk. While this new Google feature will not eliminate malware and hackers, it will give users the choices they need to make decisions that will likely affect their PC and its productivity. With this information, users will be able to enjoy their searches with slightly more confidence in the material that's given to them. The attempt to reduce malware and spamming activity has been one that webmasters and the industry as a whole has worked to reduce for quite a while. Hackers and spammers are very clever, and new ways of launching vicious computer viruses are always surfacing. Google hopes to counteract the back end of that activity by at least notifying users that possible activity of that sort may be present on certain sites that are returned on their search engine queries. It's that special time of year again, so I would like to take this opportunity to thank you all for your support and to wish you all a wonderful Christmas and a happy and prosperous New Year. Hope 2011 brings you joy, happiness and prosperity. With it being the holiday season, I will not be publishing any new posts on the blog over the next 2 weeks, but I'll continue to bring you more great articles, exclusives and news in the New Year including top tips for email marketers, how twitter can improve your SEO, 5 website promotion techniques you should avoid and much more. Until 2011, have a fabulous Christmas and New Year! WebProNews recently looked at how Google and Bing use links on Twitter and Facebook for organic ranking, following an informative piece from Danny Sullivan on the matter. Google's Matt Cutts has now addressed the subject a bit more in a new video uploaded to Googles' Webmaster Help Channel. "We do use Twitter and Facebook links in ranking as we always have in our web search rankings, but in addition we're also trying to figure out a little bit about the reputation of an author or creator on Twitter or Facebook," says Cutts. "I filmed a video back in May 2010 where I said that we didn't use that as a signal, and at the time, we did not use that as a signal, but now, we're taping this in December 2010, and we are using that as a signal." Now, this doesn't mean that suddenly Twitter and Facebook links are the main ranking factor determining where your content is showing up in organic searches. If anything, Google seems to be tiptoeing into the waters in this area. "The web search quality team has a lot of different groups in a lot of different offices, so people including the original Blog Search team, people who worked on Realtime Search...have been working on using these sorts of things as a signal," explains Cutts. "So primarily, it has been used a little bit more in the realtime sort of search, where you might see individual tweets or other links showing up, and streaming up on the page. 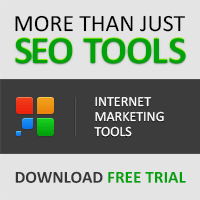 We're studying how much sense it makes to use it a little more widely within our web search rankings." To reiterate, you'll still see this playing more of a role in realtime search, but Google is "looking at it more broadly within web search as well," according to Cutts. "Now, there's a few things to remember," Cutts warns. "Number one is: if we can't crawl a page (if we can't see a page), then we can't really assign PageRank to it, and it doesn't really count. So if we're able to obtain the data, then we can use it, but if for some reason a page is forbidden for us to crawl or if we're not able to obtain it somehow, then we wouldn't be able to use it within our rankings." This would appear to mean that links within Facebook will not mean a whole lot when the user isn't sharing their updates with everyone. Many Facebook users have their privacy settings adjusted to only share with their friends. While Facebook may have far more users than Twitter, privacy settings will greatly reduce that number in terms of links that will potentially help your search rankings. "This is something that is used relatively lightly for now, and we'll see how much we use it over time depending on how useful it is and how robust it ends up being," says Cutts. "The one thing I would caution people about is don't necessarily say to yourself, 'Ha. Now I'm going to go out and get reciprocal follows, and I'm gonna get a ton of followers,' just like people used to get a ton of links. In the same way that PageRank depends on not just the number of links, but the quality of those links, you have to think about what are the followers who mean quality. Who are the people who actually are not just bots or some software program or things like that." Imagine that you've taken the giant leap to start a blog to bring more brand awareness and exposure to your small business. You've taken all the necessary steps to build your blog platform and now comes the day when you make your very first blog post. You spend hours crafting a post that is educational, inspirational and positions you as an expert in your field. You are as proud of this post as if it truly were your flesh and blood. And, most of all you can't wait to share it with the world. So, you hit "publish" and wait for your readers to react to your nuggets of wisdom. However, the waiting is an endless ordeal. Why aren't you generating any comments? Why aren't people emailing you thrilled that you have shared your expertise with them? It's called "lack of traffic" and if there's no traffic to your blog, no one will ever see it. Obviously, this goes without saying. But, your content needs to educate, entertain, inspire or provide a solution to your readers' problems. 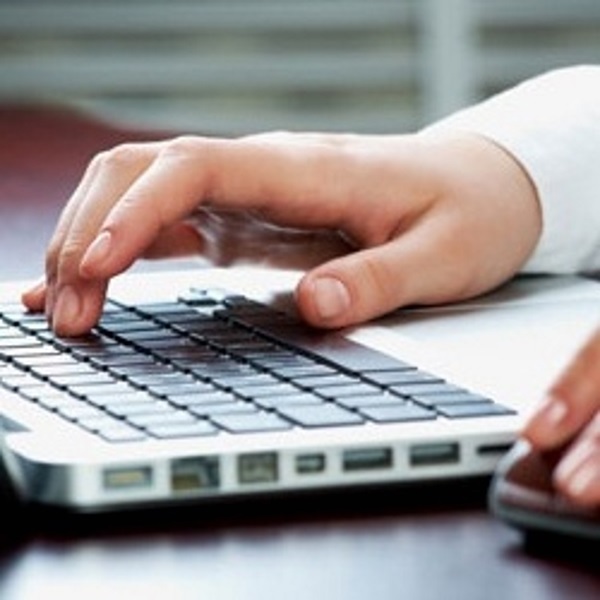 You want to try to accomplish at least one of these tasks with every blog post. We are living in an age where short attention spans are the norm. Keep your posts under 500 words so that you don't lose your ADD readers. Give your readers a free goodie (such as a downloadable ebook, whitepaper, audio class, etc.) if they subscribe to your blog. Whenever you post to your blog, Tweet it out to your followers, update your LinkedIn status and let your Facebook friends and fans know about it. If it's a good post, they will pass it on to their community as well. Blogging is a social activity. Read other blogs, comment on other blogs and refer to other blogs within your blog posts. Research various blogs within your particular industry. Read the blogs, comment on the blogs and interact with the blogger. Once you've established a relationship, send them an email politely letting them know that you would be willing to be a guest blogger for them at any time in the future. Include a link to your blog so that they can check out the quality of your work. Once you implement these twelve strategies, you'll certainly notice a spike in traffic and begin generating comments and interaction from hundreds (even thousands) of readers in your particular industry. Don't just go storming in and start making loads of posts about what you are offering, as this will simply lead to either being blocked or becoming known as a spammer! For example, if you wanted to appeal to 30 - 50 year olds who live within 20 miles of your postcode and were interested in dancing, Facebook allows you to do this. Because of the data they collect about you as you are using Facebook, they can then really make sure that you can target any advertising very close to your perfect audience, which is not really rivaled elsewhere as of yet. About The Author: Ian Spencer works for Clear Web Services, a SEO Web Optimisation and Web Design company serving the Forest Of Dean, Gloucestershire and South Wales. He has worked in the SEO and Internet Marketing world for many years, and working in partnership with another company has launched the new SEO business http://clearwebservices.com. For more information, please call 01594 835 857 or email info@clearwebservices.com. Punch Above your Weight Online - Localised search results have recently experienced a major overhaul within the Google SERPs (Search Engine Results Pages) which has resulted in a fantastic opportunity for small and medium-sized businesses. 1. Claim your Google Places listing - it's easy to do and if one doesn't exist for your business then you can quickly and simply create one. What is it? A Google Places listing is effectively a profile attached to Google's local search results. It is important because Google ranks these profiles above all others in their new first page local search results. 3. Gather citations - citations are instances on the web where your business is mentioned, Google uses the consistency of the information it finds and the authority of the referring site to boost your rank in local search engine results. The quality as well as volume of citations is an important factor in local search engine optimisation. 4. Include your locality in on-page optimisation - revisit your META and Title Tags to ensure your town is included wherever possible. Make sure your address appears on every page and that you have a contact page. 6. Manage your online exposure - make sure the information distributed across the web that pertains to your business is managed carefully. Trawl local directories and existing listings, double-check that your details are correct and that they match both your Google Places contact information as well as your websites contact page. 7. Get your reviews and testimonials on the web - no doubt you will already have testimonials collected from customers, these need to go online as well as in other marketing materials. Put a process in place of asking satisfied customers to review you online if at all possible. Pen a short email with instructions of where and how you would like the review left and send this to all satisfied customers. 8. Use a local phone number instead of a 0800, 0845 or 0870 - this again refines your location making it easier for search engines to place you within a specific region. 9. Target local keywords - when link building make sure you target some local variations on your keywords in the anchor text of your links. 10. Use your supply network - think about local search as being similar to networking. No doubt you will already have a network of local contacts, associates and suppliers who all allow your business to thrive. Simply transfer this network online by linking to each other. About The Author: Kriss Davies - If you find local search engine optimisation confusing or simply don't have the time to optimise your local online presence you can call on the of an SEO expert. For Google Places listing and local search engine optimisation visit www.libertymarketing.co.uk. Watch out, TSA: Google's getting into the game of exploring the human body. Hang on, though -- there's no groping going on here. Google's approach is a new educational tool called Google Body Browser. Launched on the Google Labs website today, Google Body Browser uses HTML5 technology to let you examine the human body in fully layered, three-dimensional detail. First, a warning: Google Body Browser probably won't load in your browser. The app uses WebGL, a plug-in-free programming interface, to power its 3D graphics. WebGL is a relatively new standard, and most major browsers are still testing its implementation. For now, you can grab the latest beta version of Chrome or Firefox to check it out; eventually, the stable versions of those browsers (and most others) will offer integrated WebGL support. When you open Google Body Browser in a WebGL-enabled program, you're greeted with an image of a woman standing face-forward wearing minimal workout attire (view full-sized image). Controls on the left side of the screen let you zoom in and out and rotate the woman's body. You can also just click and drag with your mouse to spin her around 3D-style. Good times, right? You bet. But the most interesting part is when you start using the Google Body Browser layering tool. Located below the zoom controls, the layering tool lets you peel back layers of the body (of the body, buddy, not the clothing -- get your mind out of the gutter) to see detailed views of the human anatomy. Bumping down one level sheds the skin and gives you a glimpse of the muscular structure (view full-sized image). The next level goes skeletal. Keep going and you'll get organs, arteries, and veins -- then eventually nothing but nerves. Want to learn more about what you're seeing? Just click the "Labels" option, and Google Body Browser will serve as your virtual biology book. With the option activated, tiny labels will appear on every item in your current view, letting you know exactly what you're looking at (view full-sized image). Of course, it wouldn't be a Google product without search. Type any muscle, bone, or organ into the search box at the top of the page, and Body Browser will instantly zoom into the appropriate part to show you where it is (view full-sized image). One other neat feature worth mentioning: Body Browser adjusts its URL as you move along, so if you ever want to save a particular view or share it with someone else, all you have to do is copy the current Web address and you're good to go. Finally, if you're jonesing for some testosterone-laden exploration, fear not: Google says a male model will be added into the Body Browser app sometime soon. You can try out Google Body Browser right now at bodybrowser.googlelabs.com. Or, if you don't feel like playing doctor just yet, check out this video to watch the app in action. Until the next time, enjoy the rest of the week! Bing introduced a handful of new features today. The one that will likely catch the most interest is the extension of its recent announcement regarding Facebook. Now, Bing will start showing you which of your Facebook friends have liked search results as they appear in your searches. "Starting today, if your search results include a specific link that has also been 'liked' by someone in your Facebook network the link will be highlighted as 'Liked' within Bing," Microsoft's Bing team explains. 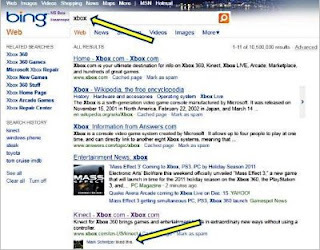 "This gets especially interesting for a query like 'Xbox' where my friend 'Liked' the 'Kinect' site and while our algorithms didn't feel it was relevant enough to make it the 'answer' we reference above, we are still able to indicate that my friend liked that link that happened to show up within the results." This will be one clear advantage that Bing has over Google in terms of regular web search. Google has done a lot involving delivering social results, but Facebook data are THE social results that matter most - at least as long as Facebook is the dominant social site that it is today. With people constantly "liking" content all over the web, this can be a great indicator of relevance on a personalized level. It's going to catch your attention when you notice your friend appear in the search results. Bing has been running a similar feature in search results for several weeks, including likes from places like CitySearch, but there should be a much more broad set of potential results that will include "like" info now. It appears the feature may still be rolling out, so if you don't see the "liked" results, you're not the only one. I do get a message about it when I search with Bing, but after some testing, I'm clearly not getting these results. For example, as illustrated by Bing here, I should see when my friend has "liked" a movie on IMDB underneath the IMDB result for that movie on Bing. I have tested this with a specific movie that I made sure one of my friends had "liked" and that "like" did not appear under the result. 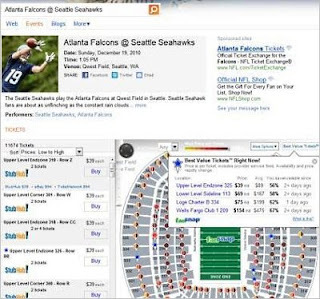 Bing has also added sports ticket info from FanSnap directly into the search experience, so users can view ticket results from 57 ticket companies, see ticket selection and price ranges, find the best ticket prices, and access a "view-from-seat" feature. Bing has also made changes to how it presents and organizes image search results. "The first thing you will notice is our new Instant Answer that organizes a rich collage of images directly into the main results page," Bing explains. "Once you click through to the 'images' page you will notice that we've populated the tabs with the most common search queries associated with a given image." "Instead of making you qualify that you're looking for (Casablanca, Morocco or Casablanca, the movie), we have organized the tabs so that one simple click gets you to what you're looking for," Bing adds. For local search, Bing has added interior views, enhanced OpenTable integration for restaurants, real-time transit and Streetside for Mobile. Bing has partnered with EveryScape Eats, which provides imagery of restaurant interiors. These can be accessed by clicking "step inside" on Bing Local details pages (it utilzes Microsoft's Silverlight). For now, it includes about 5,000 restaurants, mostly in Boston, but the company will add locations and cities over time. We'll see if they expand beyond restaurants. Google has already been experimenting with taking pictures inside businesses. 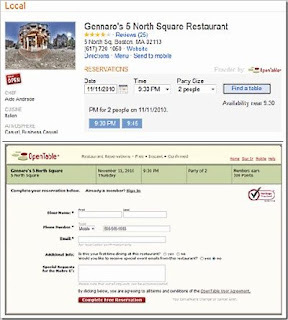 Additionally, Bing users can access local details pages for restaurants that are signed up with OpenTable and search for available reservations from Bing itself. Bing Mobile on the iPhone now has "up-to-the-minute" data for transit agencies (in Seattle, Boston, and San Francisco so far), and Streetside - Bing's eqivalent of Google's Streetview is available on Bing Mobile now. Bing has also made adjustments to its map style and a bunch of other updates to its iPhone and Andriod apps. Will This All Help Bing Increase Its Market Share? As we've discussed in the past, Bing has a lot of things that could work in its favor in terms of helping it grow its search market share, and some of these new features (namely the Facebook likes) won't hurt. The company also introduced some Facebook sharing features for Shopping Search a couple weeks ago. For a number of years, many online marketers honestly thought that the only thing they needed to do to be successful online was to build a website, and the buyers would come to them. They heard all of the success stories from people who claimed that they had simply built a website, and people just started to arrive in huge numbers. These folks built a website, then the search engines found their websites and started showing people the link to their website. And the people using the search engines saw the link to their websites and saw that it was good. Search engine users saw the link and, as if it were the only link in the Search Engine Results Pages (SERPs), they clicked the link by the thousands. And hoards of people came to the website with fists full of money, ready to purchase what the website was selling. Some people still believe this is how the search engines work. They have built their websites, and they are waiting anxiously for the "Traffic Fairy" to sprinkle his magic dust on their websites too, so that they can also make lots of money. Those who are "waiting" for anything may wait until they realize they are flushing good money down the proverbial toilet, month after month. When they realize that they still have more money going out than they have coming in, they usually get irritated that the "Traffic Fairy" did not look favorably on them, so they stop paying their hosting bill and quit this scam called, "online marketing." Those people who prepay 1-2 years on their web hosting bill will typically allow their sites to remain online, but they will quit the site long before their website runs out of life. Most will stick it out 3-4 months, and if they are not yet making money, they will just walk away from their new "online business." This is why you will find so many article directories where you submit your finest work, and no one will ever "approve" your article for publication. There may be nothing wrong with your article. The fact is no one is home to approve it. Larry Page and Sergey Brin -- the founders of Google -- were just like you and I. They had a startup website, and they needed people to discover their new website. In those days, Page and Brin could not simply build their website and "wait" for the Traffic Fairy or Google to find them. While building Google in their garage, Page and Brin were doing what you should be doing now. They were getting links wherever they could get links. They were adding their site to directories. They were issuing press releases about their new company. They were trying to get interviews with the press and ordinary webmasters. They were trying to get interviews with newsletter publishers. They were participating in forums and news groups to share their story. Yet the average new webmaster barely promotes his or her website and expects to attract thousands of visitors in the same time frame as it took Google to get noticed by the public-at-large. They had to promote, promote, and promote some more. They had to build links, build links, and build some more links. They needed to entice people to visit and use their website, and they needed to provide a method for people to find them. My point is that the founders of Google wanted to be acknowledged and linked from every corner of the Internet. They chased links for their website because they knew that people used links to get to a website. You and I are not going to get 231 million links to our websites, but getting links from a variety of resources is the secret to getting traffic to ones' website. The Traffic Fairy blesses those websites that have a multitude of links to them. You should try to emulate them as you build your website and start to promote it. It was the secret to their success, and likewise, it could be the secret to your success. The easiest and cheapest ways to get links and generate traffic for ones' website is going to be: article marketing, press releases, forum marketing, social media marketing, etc. But, there are at least three-dozen methods to generate traffic to ones' website, and these are just four of them. In my case, I have used 31 of the 35 methods I describe in the 80-page traffic guide, "Multiple Traffic Streams: The Magic of Attracting Buyers." Don't wait for the Traffic Fairy to bless your website. Take massive action to make sure that the Traffic Fairy would be a fool to ignore you. The blogosphere may be buzzing about Google's Chrome OS and Chrome Web Store this week, but Google itself is focusing on its original Chrome product: the Chrome Web browser. 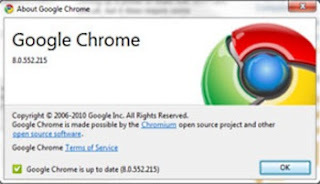 Google announced the launch of Chrome 8.0.552.215 at its official Chrome blog Thursday afternoon. The update brings a number of changes and -- perhaps more important -- paves the way for some big things ahead. So what's new in Google Chrome 8? Quite a bit, actually -- though many of the changes are under the hood. Google Chrome 8 introduces more than 800 bug fixes and stability improvements. Those tweaks and other security patches make up the bulk of the progress. One new feature that's immediately noticeable is the addition of a built-in PDF viewer, something that had been floating around in developer builds for several months. According to Chromium Engineering Director Marc Pawliger, the built-in PDF viewer lets the browser "render [PDF files] as seamlessly as HTML Web pages," without the need for a standalone Adobe Reader installation. All PDFs are also contained in what's called a sandbox, which basically means they're isolated and won't affect the security or performance of any other parts of the system. The most significant changes in Chrome 8 may be ones that most of us can't see. Developers say Chrome 8 is the first version of the browser to boast full support for Google's upcoming Chrome Web Store, which is widely expected to launch any day now. The Chrome Web Store will offer an array of Web-based applications -- both free and paid -- that'll be designed specifically to work with the Chrome browser and the still-under-development Chrome OS. Speaking of Chrome OS, it too may be moments away from making its grand debut. In an interview with The New York Times last week, a Google engineering VP said Chrome OS-powered netbooks would be hitting the market before the year's end. Chrome OS, as you may recall from Google's preview of the software last summer, will offer a bare-bones, browser-like interface that'll rely almost entirely on cloud-based applications. And, despite its similar categorization, it'll be wildly different from Google's other operating system, Android -- both in terms of how it works and what types of devices it'll target. As far as the basic Chrome browser, Google's next project is applying its sandbox technology to Adobe's Flash Player. Like with the PDF scenario, it'll allow Flash-based content to stay isolated in its own area, making the overall browsing experience safer and more stable. Google's clearly keeping busy with Chrome these days, and all of the efforts may be paying off: According to recently released data, November marked Chrome's biggest month to date when it comes to browser market share. The data, compiled by metrics firm Net Applications, shows Chrome growing a full 5.6 percent in global market share for the month of November, bringing its total up to 9.3 percent. That's the second-highest single month gain Net Applications has ever measured for any browser. Chrome 8 is now available at Google's Chrome download page. If you're already using Chrome, the program should automatically find and install the upgrade soon. If you don't want to wait, just click the tool icon at the top right corner of the program and select "About Google Chrome." That'll force your browser to check for updates and begin the upgrade process. In an uncharacteristically public way, Google has acknowledged modifying its search engine so it can identify businesses that provide bad service and lower their search results rankings accordingly. Google took action after a recent story in The New York Times detailed the tactics of an online eyeware store owner who claimed his site's high Google rankings were directly proportional to the many complaints posted by upset customers. "I've exploited this opportunity because it works. No matter where they post their negative comments, it helps my return on investment. So I decided, why not use that negativity to my advantage?," Vitaly Borker, founder and owner of DecorMyEyes, told the Times. That tactic won't work anymore, Google said Wednesday. "I am here to tell you that being bad is, and hopefully will always be, bad for business in Google's search results," wrote Amit Singhal, Google Fellow, in a blog post. Without going into much detail, Singhal said Google developed "an algorithmic solution" that flags merchants that provide "an extremely poor user experience" and assigns them lower rankings. This is an initial solution to the problem, which Google will continue addressing, he said. Incidentally, Singhal disputed that DecorMyEyes' ranking benefitted from the many complaints posted online against it. Rather, its ranking was helped ironically by articles from reputable media sources about the company's troubles. 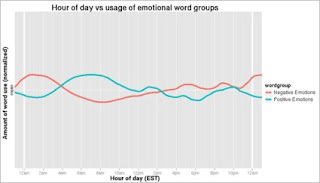 The situation is also leading Google to work on making its "sentiment analysis" search system more of a factor in results ranking. Currently, Google hasn't found a way to give this system more weight without disproportionately affecting the ranking of controversial people or topics. The Times article clearly struck a nerve at Google, which runs the world's most popular search engine and prides itself on delivering what it considers the best and most relevant results through constant and intense improvements and innovations. Thanks to its popularity with users, Google dominates the highly profitable search engine advertising market. Last year, Google had $23.6 billion in revenue, most of it from search advertising. Although hundreds of disgruntled customers had posted complaints about DecorMyEyes online -- including allegations of personal harassment and intimidation by Borker -- the store enjoyed high rankings for eyewear queries for years. "We can't say for sure that no one will ever find a loophole in our ranking algorithms in the future. We know that people will keep trying: attempts to game Google's ranking, like the ones mentioned in the article, go on 24 hours a day, every single day," Singhal wrote. "We will continue to work hard towards a better search," he added. Micro-blogging is defined as a quick update usually containing a very limited number of characters. It is a popular features of social networks like Facebook where you can update your status, but it has become best known because of Twitter. In essence, micro-blogging is for people who want a blog but don't want to blog. A personal blog can keep people informed on what is going on in your life, but not everyone wants to spend an hour crafting a beautiful post about the vibrant colors seen on a butterfly spotted in the front time. Sometimes, you just want to say "went shopping for a new car but didn't find anything" or "watched Dancing With the Stars and Warren Sapp sure can dance." While Twitter may have started as a micro-blogging service, it is grown into much more than simply a tool to type in quick status updates. So when asked "What is Twitter? ", I often describe it as a cross between blogging and instant messaging, though even that doesn't do it justice. Put simply, Twitter is social messaging. With the ability to follow people and have followers, and the ability to have interact with Twitter on your cell phone, Twitter has become the perfect social messaging tool. Whether you are out on the town and want to coordinate with a group of people as to what hot spot to hit next, or keeping people informed of developments at a company-sponsored event, Twitter is a great tool for quickly communicating a message to a group of people. Turn on CNN, Fox News or any other news-reporting service and you'll likely see a news ticker streaming across the bottom of the television set. In a digital world that is relying on the Internet more and more for news, that streaming ticker is Twitter. Outdoor festivals like the South-by-Southwest festival in Austin, TX and major events like the E3 conference have shown what a great resource Twitter can be for quickly reporting news to a huge group of people. Faster and more immediate than a blog, Twitter has been embraced by the "new media" of the blogosphere and has slowly won acceptance among traditional media outlets. Twitter has become a favorite target for social media marketing. This new form of getting the message out has been used effectively by Barak Obama during his Presidential campaign, and is used by everyone from magazines to movie stars as a quick way to connect with an audience. So what does Twitter do for businesses? Twitter is a communication platform that helps businesses stay connected to their customers. 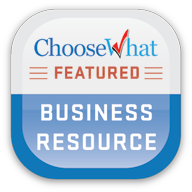 As a business, you can use it to quickly share information with people interested in your company, gather real-time market intelligence and feedback, and build relationships with customers, partners and other people who care about your company. As an individual user, you can use Twitter to tell a company (or anyone else) that you've had a great or disappointing experience with their business, offer product ideas, and learn about great offers. 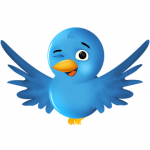 Direct - The company uses Twitter as a marketing or public relations channel. Indirect - The company's employees use Twitter to enhance and extend their personal reputations, thereby enhancing the company's reputation. Internal - Employees use the platform to communicate about what they are doing, projects they are working on and ideas that occur to them. Inbound Signaling - Twitter streams provide a rich source of information about what customers, competitors and others are saying about a company. This brings us back to the original question. What is Twitter? It is many different things to many different people. It can be used by a family to keep in touch, or a company to coordinate business, or the media to keep people informed or a writer to build up a fan base.